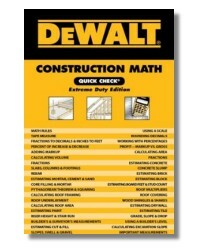 The ultimate code reference for construction is here. 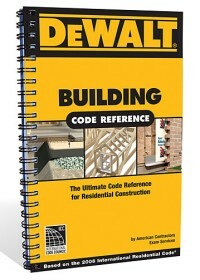 Using the 2009 International Building Code and 2009 International Residential Code® as its foundation, the DEWALT Building Code Reference provides users with 80 pages of illustrated code requirements, violations, and installation concerns. From wall and floor framing to roof framing to foundations and footings, all the information you need to be successful in the industry is contained in this compact, easy-to-use reference guide. 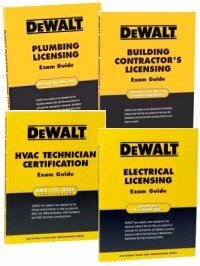 Perfect for use on any jobsite and up-to-date with industry standards, this is a must-have for anyone in the construction field. 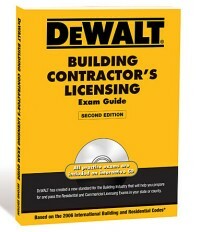 American Contractors Exam Services has successfully prepared candidates for state required licensing exams since 1991. A team of full time instructors comprises field experience, training expertise, and formal education to formulate an effective and dynamic approach to concisely present pertinent test information in a seminar format.